More than 40 years ago the Carta family has brought the Italian cuisine to Leiden. At Karalis there is no place for anything but the pure Italian flavors. Lunch and dinner are intermingled, and they always have gluten free pasta in stock. A cocktail shaker will serve you a perfect accompaning drink. We came a bit early and were asked to wait for a couple of minutes. This was completely fine, as we were early. Our table was ready soon and they brought us too it. Staff was friendly. It was really good, everything fresh and tasty. The flavour of the pizza is one of the best in Leiden. The only bad thing is that they didn't apply the discount until we told them about it. 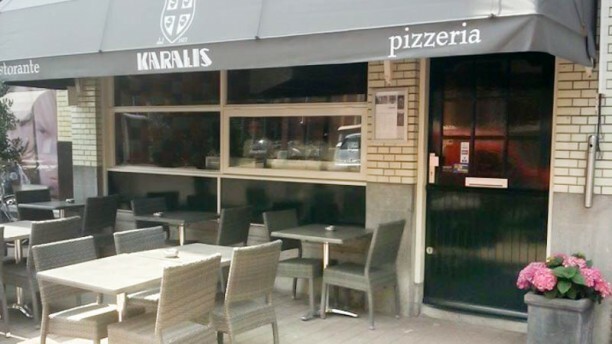 Karalis is one our favourite places in Leiden. Always delicious. Really nice selection of food and great quality, good prices, helpful staff, and a surprisingly large selection of wines to choose from - this is a great place for a night out to dinner in Leiden! 100% recommend! Value for money. Aardige bediening, prima pasta en pizza. Druk bezet maar desondanks kun je een gesprek voeren. Komen zeker weer terug. We especially recommend the pasta dishes. They are authentic and made with refined ingredients. De beste pizzeria van Leiden! Lekker pizza en ravioli. Warme sfeer. Only because some friends wanted to go there I went again. Of course I stayed away from the Ravioli I had last time; I ordered pizza - which was delicious as always. Only downsides were the fact that no one welcomes/says farewell when you enter/leave, we weren't asked if we wanted another beverage and no one asked how the food was while we were eating. Delicious food, lovely staff and very affordable prices. The restaurant is located in a very beautiful part of Leiden. It was perfect! Vriendelijk dank voor uw recensie! De lekkerste pizza in Leiden e.o.